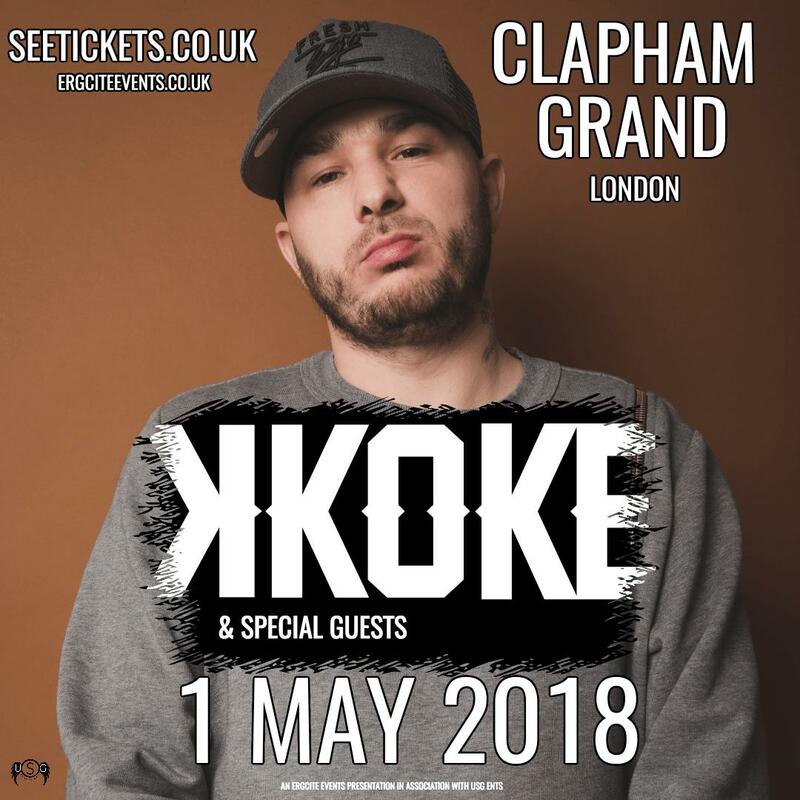 K-Koke will play the Clapham Grand concert hall on 1st May 2018. K.Koke's hard-hitting, old school style has created a loyal and dedicated fan base that has rippled all the way across the Atlantic. The first British rapper to be personally signed by the legendary Jay Z to Roc Nation, Koke represents UK hip hop's purest form of urban music. K-Koke can be described as raw, intense, vulnerable, boastful, funny, emotional and so truthful that it hurts, get ready for something special. Tickets for general admission are £15 with a limited number of VIP tickets. Tickets are for sale now. K-Koke will perform a full set of his music ranging from his first mixtapes through to his commercial releases into his new releases – K-Koke has just released a 6 song E.P which is available on all music platforms. Disabled customers are advised to book early. PLEASE NOTE tickets cannot be purchased directly from Clapham Grand box office. This press release was distributed by ResponseSource Press Release Wire on behalf of ERGCITE EVENTS in the following categories: Entertainment & Arts, Leisure & Hobbies, Media & Marketing, for more information visit https://pressreleasewire.responsesource.com/about.